Francis made the comment on Tuesday, during the most recent round of discussions between the government and vendors at the Victoria Park. âEverything is wrong,â Francis contended. He, however, said it would be a waste of time to break down the building at this point, as it had been constructed not too long ago, but rather it needed to play a key part in the solution to the vending problem. âI canât break it down,â he said. But the facility needed some minor renovations and modifications. âWe have to aerate itâ¦open it up,â the minister said. He recommended that some of the open floor space be uncovered and the verandas within the market be utilized. The minister added that part of the recommended solution is to erect a facility in the area where the temporary market was located, commonly known as âChina Townâ. âWe canât leave China Town that way forever, the area needs to be developed,â Francis told those gathered. He also said that Kingstown needed to be zoned. âWe have to zone the vending â¦ we have to say vending is allowed in these places and if you are not in those places, then you canât vend elsewhere,â Francis contended. 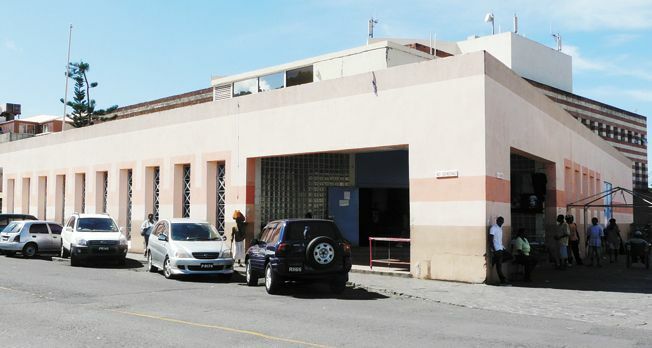 âWe cannot continue to fool ourselves that every Monday morning five vendors come into Kingstown and all they do is find their place where they want to vend and set up shop there. It cannot work so. âNow are hard times and everybody wants to make a living, but we need to live within the rules and regulations and also of the laws of the country,â the minister said. According to statistics provided by Francis, the number of vendors in Kingstown in September 2011 was 1,061. But a number of measures implemented from previous discussions were working. âWe achieved, we came up with plans, we came up with some workable plans,â he said, adding that some of those plans had been implemented. There were some successes, he explained, in some areas in Kingstown, including the front of the C.K Greaves Supermarket and the Port Authority buildings. âAll was going well, including some cleaning inside Little Tokyo, until the matter of the veranda at the Bank of St Vincent and the Grenadines (BOSVG) and then all hell broke loose,â Francis said. Talks broke down and other powers came into being, he explained, and everybody wanted to have a say. The problem had gotten out of hand, according to Francis, with vendors taking over the majority of the covered sections of the sidewalks along Kingstown and something needed to be done to address the issue. âAlmost every covered sidewalk in Kingstown is taken over by vendors,â he said. Tables are being placed in front of windows of business houses and, according to Francis, some vendors had even hung up their products for display on the showcase windows of business houses. The problem has prompted some businessmen to react, as is the case with proprietor of Kentucky Fried Chicken Ken Boyea. He said that Boyea and two other businessmen had written to him, complaining about the situation and still there were other affected persons who had not spoken out on the issue. But the problem warranted an approach where all parties sit down and come up with ways to deal with the situation. He told those gathered that vendors in Kingstown will not be removed without proper notification. According to Francis, his Ministry will be doing some work and will also be taking some action regarding vending. âBut we will not remove vendors without telling the vendors,â Senator Francis said. âWe will be informing you as to where we go from here,â he continued. The minister added that if a decision was made to zone vending, then the vendors would be duly notified.